Uncle Bob's Money | HAS UNCLE BOB'S MONEY GONE ABSOLUTELY BONKERS? I've often wondered the same thing when I've seen investment consulting services advertised: "If they're such trading experts, why do they want to let others in on it? Wouldn't it be easier—and maybe even more profitable—if they just stuck with trading to make all their money?" Proven money-making secrets should not belong to the privileged few. 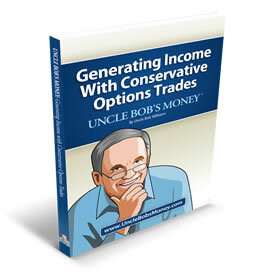 Every investor should know how to generate income using conservative options trades so the risk of loss is low. It's important to shatter the mystery and secrecy to end the status quo, where options pit traders and large investment firms with math geniuses onboard are able to earn consistently using options trades while the rest struggle to find the same strategies they use. Our website provides, 100% FREE, all the learning materials you need to understand how to make income-generating options trades. Stop by 24/7/365 to learn what you need to know, then walk away to start trading options profitably without ever coming back to us. But we do hope you'll join our community of successful options investors, where you'll access super-easy tools to take the processes of successfully finding, trading and monitoring your options trades to maximum profitability. (1) Options trading isn't limited like other income-generating opportunities. Other common investment ventures (real estate, stocks, etc.) and business endeavors (selling products and services) have a finite amount of resources in supply. Everybody likes to hear a hot stock tip, but then what happens? Everybody buys that stock, with two results: the price of shares goes up, and the "hot factor" of the stock goes down. Not so with options. Liquidity rises as more people trade options, because more options are then available: a hot options tip will often spur a flurry of trading opportunities. Simply stated, the more people are trading, the better it is for all traders. When you sign up, we'll give you our unique software that will show you where the best profit opportunities are, constantly updated according to demand. (2) We don't cut any corners. Our proprietary software was expensive to develop, and it's not cheap to maintain, as we continuously improve it by adding features. 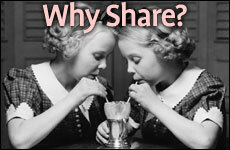 Because our sharing the Uncle Bob's Money program increases liquidity in the market, it helps all users. It also distributes our regular costs for software improvement across all users. (3) Diversification is a great thing. Everyone knows the old saying, "Don't put all your eggs in one basket." Good investors live by this rule: no matter how adept you are at a specific type, it's still not smart to put all your money there. The options market is a powerhouse—but we don't recommend that you invest more than 10% of your money there. The Book of Proverbs actually says that a person should spread his investments across seven or eight areas. Look at Uncle Bob's Money as an example: We accomplish two crucial things through running this business. First, we diversify our own investments by applying our expertise in options trading, and second, we further diversify our "investments" by running a successful business in Uncle Bob's Money. As alluring as the high returns of options trading can be, you should still be a wise investor by diversifying and therefore limiting your risk. (4) For those that don't want to actively trade, the exposure to UncleBobsMoney.com let's people know that Mr. LeVine specializes in money management for Individual/Joint Accounts, IRA Accounts, & Trusts by trading Options in the Managed Accounts.